Centre Point Logistics (CPL), established in 2005, adds value to Dubai’s competitive position in the global logistics sector through asset based innovative and proactive solutions offered to local and international third-party logistics (3PLs) providers. 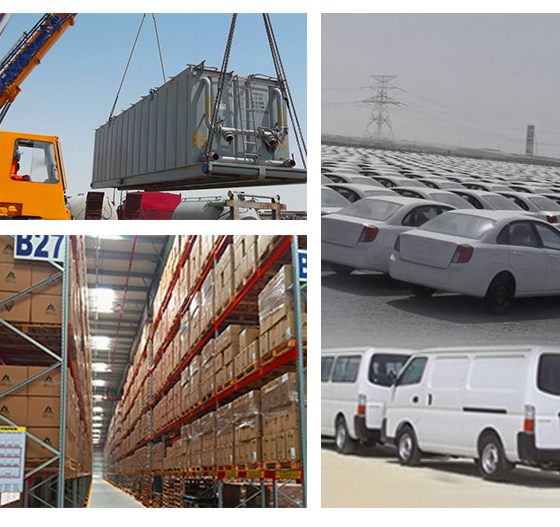 CPL’s various logistics hub, located in UAE and Oman, offer integrated logistics support services from warehousing, transportation, technical and skilled labor, to equipment, and other operations management. CPL adds value through strategic partnerships with 3PLs across the logistics industry to save resources, time and money, providing multi-national customers with competitive world-class services in the region. Currently, CPL has wide Value Added Services (VAS) offerings which are increasing day by day, flexible on long and short term contracts. Enabling 3PLs to provide their multi-national customers with world-class services in the region through an unprecedented “Open Architecture Model” CPL aims to forge strategic partnerships across the logistics industry by “Expending their Horizon” to save resources, time and money while adding value to partners and clients through enhanced efficiency and competitiveness. CPL believes in best investment output for clients by carefully listening to 3PL’s and their client needs. Highly skillful management of challenges coupled with innovative approaches.